Syd making new friends in Ghana. Photo credit Dana Zucker, Luxe Traveling Mom. I am a huge advocate of world travel with the entire family experiencing it together, but there is something really special when teens get to see the world through their own eyes or the eyes of a professional. My husband and I have encouraged and sent our twins on many great adventures for experiences that create memories for a lifetime. There are many teen world travel programs out there, but they are not all created equal. You have to do your research to find the one that fits your budget and your priorities for the kids. Immersion into the culture of India. Photo credit Dana Zucker, Luxe Traveling Mom. We want people who know about the area inside out, who have studied what the teens will be exploring, and who have been trained by the organization. I know many programs use educators to travel with teens and local guides, but we have found this mix not to be the best for our needs. The organizations we sent our teens with had the full package and they hired local professionals to assist with projects. This worked well. My kids are still in touch with all of the professionals they traveled with. As they entered college and internships, these folks have been mentors and provide a different perspective on the decisions my kids make. One example is a professional my daughter was with in Ghana. She was a PhD student working on her dissertation on Ghanian dialects and clicks language. She knew the people, their culture, and the area and continues to advise Syd on her life decisions. No theme parks or swimming with the dolphins here! The experiences have to be authentic. Truth is, a theme park is a theme park and why would I pay to have my children travel around the world to ride a roller coaster. I believe teens need to me actively involved in the culture they are visiting. Now, don’t get me wrong. It does not mean it has to be bucket showers and tents, but a little of that in the middle of the Himalayas is really amazing! Teens are at a critical stage in their social, emotional, and learning processes. They are at a stage where anything around them can have a great impact on their lives and future decisions. Teen Summer Travel Programs need to be truly engaging. They do not need to be lead around from tourist site to tourist site or engaged in volunteer activities where they are acting just as their group. These experiences need to be life changing. Destination China, a true dive into China, is launching this year. Talk about an authentic experience in all ways. This 13 night trip will bring teens into the rich history and culture that formed China into the country it is today. 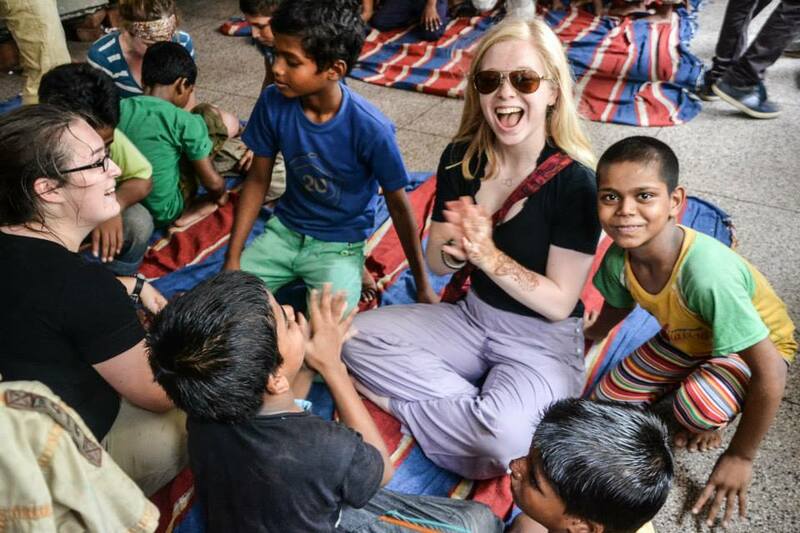 It is one of those trips of a lifetime that engages teens and gives them experiences they could not get elsewhere. The trip consists of five nights in Yuyuan Village Resort and eight at Tai-hu Home. After my visit to Tai-Hu Home with Mandarin Journeys last year, I knew it was the perfect place for a true teen travel immersion and adding the Yuyuan Village is really the cherry on top. 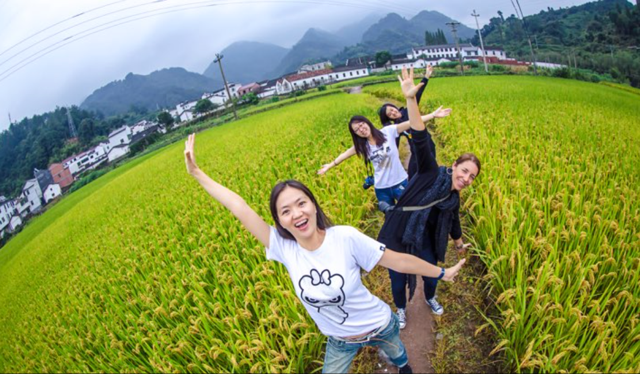 Teens arrive in Shanghai and travel to Yuyuan Village; the first village awarded “China’s Historical and Cultural Village”. The village itself can be traced back to the Ming Dynasty. While staying at the Village Resort, teens not only learn the history of the area, they are taught Tai Chi, given time to explore the area, and get to dine in the local restaurants. Enjoying a hike in the fields in China. Photo credit Platinum Private Journeys. Teens then board the high speed train to head to Tai Hu Lake, where they will spend the remainder of their trip. Tai-Hu Home will be home base while the teens explore Changing, one of the top 100 counties in China. Tai-Hu Home is a luxury resort on the lake, the 3rd largest in China. While Tai Hu is home base, excursions and experiences include, the Royal Tea Factory, Temples, and classes such as ping pong, pottery with a master potter, cooking authentic Chinese dishes from the region, Chinese calligraphy, kite making, dragon dance, rock climbing in the Deqing County, and much more. This experience is for those who want to eat authentic food, learn the true culture and history of China, and be actively engaged in the world around them. For more information on this amazing trip, contact [email protected]. Putney is near and dear to my heart. They were the first and last organization that my twins traveled with. Putney has been around for years and is now in its second generation running the program. To this day, when I question anything about my kids travel, I call the owner first! 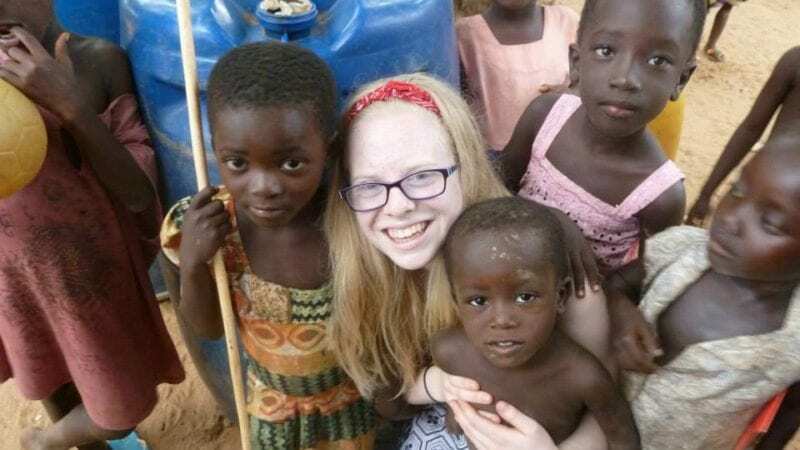 My daughter’s first trip with them was to Ghana. 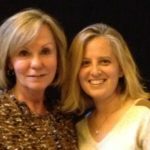 She not only came back a different more confident person, but made a best friend who she does not see as often as they would like, but have remained very close. 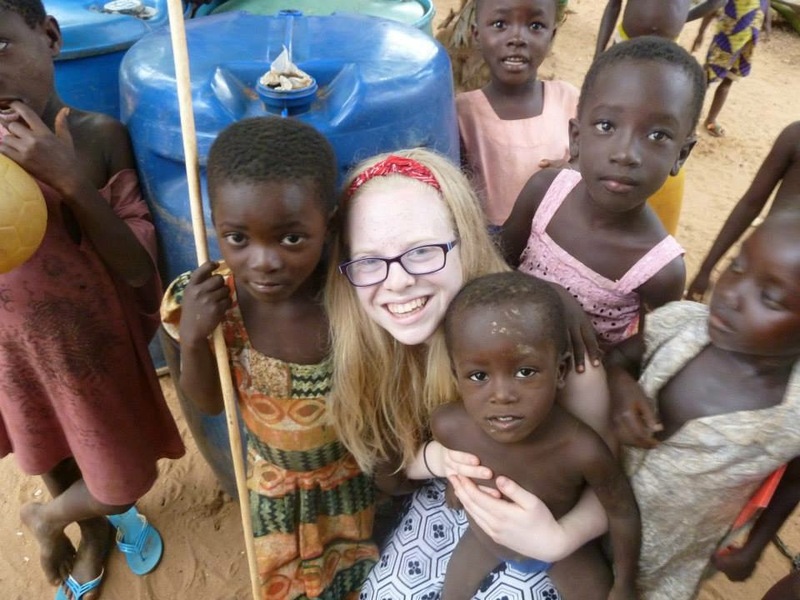 Putney Student Travel has many different types of programs for grades 6 – 12, but the one below is similar to the Ghana trip my daughter took. Living and working all week in a small village and traveling on the weekends, the experience was breathtaking, for real! According to owner, Jeff Shumlin, two of the hottest spots to visit are Ecuador and the Galapagos. There are different trip to these areas, based on either community service or language. The language trip is 31 days and the students take a pledge to only speak Spanish to each other, their leaders, and in the communities they will engage with. Once the teens arrive, their week will be divided into the “work week and the weekends”. Most of the Putney programs are modeled in a similar way, in that the weeks are centered around a community. 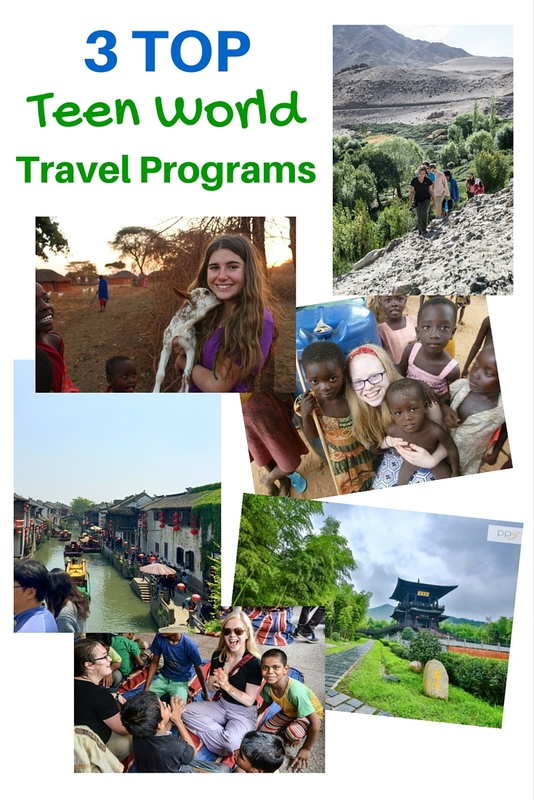 The teens can earn 50-80 community service hours, while having an unbelievable experience, working on projects, while learning village life with the locals. Community service in the Dominican Republic. Photo credit Putney Student Travel. What I really love about Putney Programs is that they are very unique due to their homestay, independent projects, and weekly excursions. Many of the Putney trips involve a homestay, much like the one on this trip. The homestay is a week long, true immersion into Ecuadorian living and the Spanish language. The week continues as normal, while joining the family at night. When the workday is finished, teens can engage in a variety of projects, like cooking, music, or many other opportunities. Excursions are day or overnight trips from the village. You can head out to explore both the natural beauty and diverse cultural of Ecuador, such as visiting the cloud forest or the snow-capped Cotopaxi – only one of the world’s largest volcanoes! The trip concludes with the last week in the Galapagos Islands. The language immersion continues as teens engage with their guides in this amazing setting, exploring all parts of the Islands. Imagine mangroves and swimming with penguins, sea-turtles, and even sea lions. During the week, we wake up between 6-7am, eat breakfast together as a group, and then head to the work site from 8am-12pm. 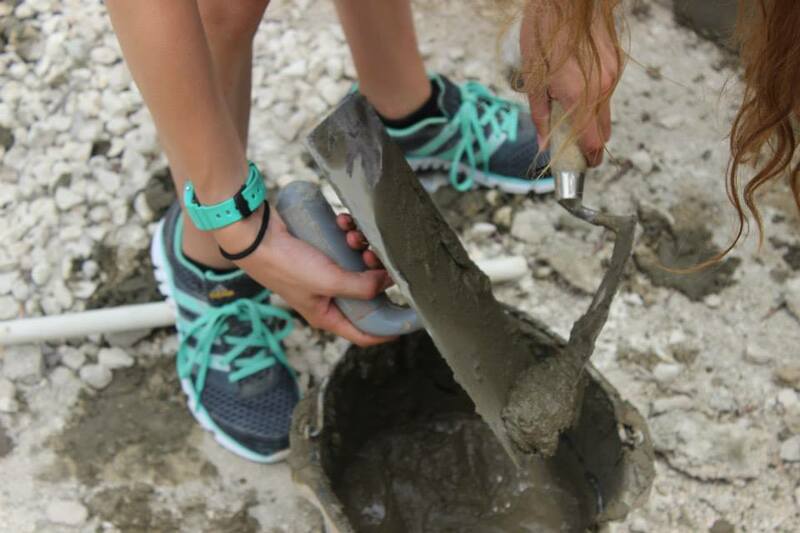 Work may include mixing cement, painting, participating in a local harvest, or teaching local kids. We’ll break for a long lunch and rest time, then return to work for a few hours in the afternoon. After work, we’ll relax, play soccer with local friends, help cook dinner, or pursue independent research. After a group dinner together, students participate in a meeting to discuss the day, plan for upcoming excursions, or simply play a game together. Day trips and excursions are a time to explore. You can hike to a nearby peak, explore an indigenous market, horseback with local guides, and more. National Geographic Student Expeditions has programs all over the World! The Nat Geo India trip was recommended to me by a teen travel professional. My twins did this trip two years ago. They traveled Europe together solo for 5 weeks and then flew into New Delhi to meet up with the start of the trip. From start to finish, it was top notch. The staff for Nat Geo trip are professionals and specialists.They also have a wonderful “On Assignment Project” that allowed teens to choose their own assignmetnts. While in India, my daughter worked with a Nat Geo professional photographer and my son’s assignment was based on economics. This is just one part of the Nat Geo programs. One hot area this summer for Nat Geo is the Argentina and Chile trip. One of the great leaders on this trip is National Geographic photographer and climber Tommy Heinrich. This 19 day adventure begins in Buenos Aires and the teens can pick an “On Assignment Project” of Photography or Wildlife & Biodiversity. While in Buenos Aires, the teens will explore the historic city, photograph tango dancers, and join in at a youth dance hall. Before they head off to Argentine and Chilean Patagonia, they will visit the National Park’s headquarters to lean about the challenges in conservation. 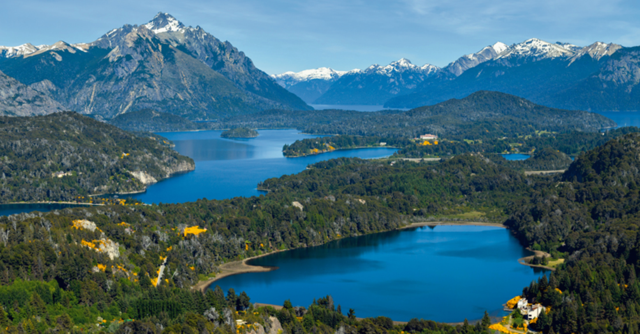 The group will then head off to Argentine and Chilean Patagonia by flying into Bariloche with a stunning view of the Andean Peaks. Exploring by foot and gondola to the top of Cerro Centenario, both the area’s conversation issues and animal diversity and photography will be touched upon. They then jump on a ferry to cross to Chilean Patagonia. While there, they will stay in a mountain refuge on the Osorno Volcano slopes, where they can ski and/or snowshoe. The gorgeous landscape on a National Geographic adventure. Photo credit National Geographic. Spending time in the forests and glacial lakes, they will also horseback ride across the area. During this leg of the trip, the group will also meet with a local conservation group, working to preserve the surrounding wilderness and support local communities through the creation of national parks. Next, they head to Iguazú, Argentina, in the heart of the rain forest and a protected jungle reserve. Here they will work on projects to preserve the area and focus on biodiversity and the culture of its indigenous Guaraní people. Finally, they’re off to Esteros Del Iberá, Argentina to visit the wetlands and nature reserve. Here they will stay in a private estancia. The adventure then takes them to the water by kayak to learn about the area’s wildlife and collect data alongside researchers or photographing native species. They again will meet with locals of these remote areas to learn how vital this area is to the ecosystem. Heading back to debrief in Buenos Aires, the teens have time to really dig into what they have leaned together with their professional leaders. No matter which National Geographic Program your teen may choose, I assure you of a life-changing experience. My son to this day refers back to what he learned in his college classes! Who wants to go back and be a teenager and do these programs with me? Tell us where will your teen be traveling this summer?